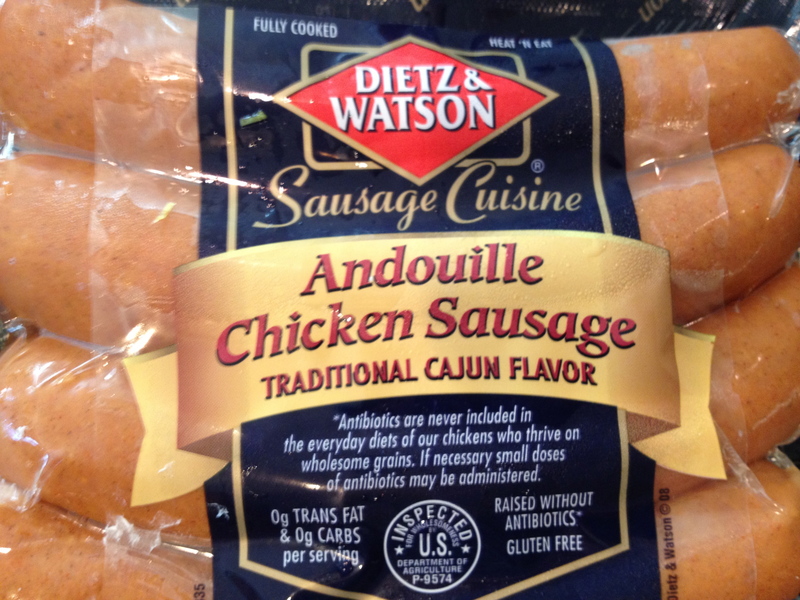 This dinner came out of my quest to find something to make with this yummy chicken andouille sausage that I had sampled at a local store (Hanson’s Market for my SC peeps). I was “hungry” shopping so of course it tasted like the best sausage I had ever eaten. I have never been the type of cook that makes dinner with a protein, a carb, and a veggie all separate on a plate. Not that we never eat that way… I just usually lean towards cooking one pot type dishes. 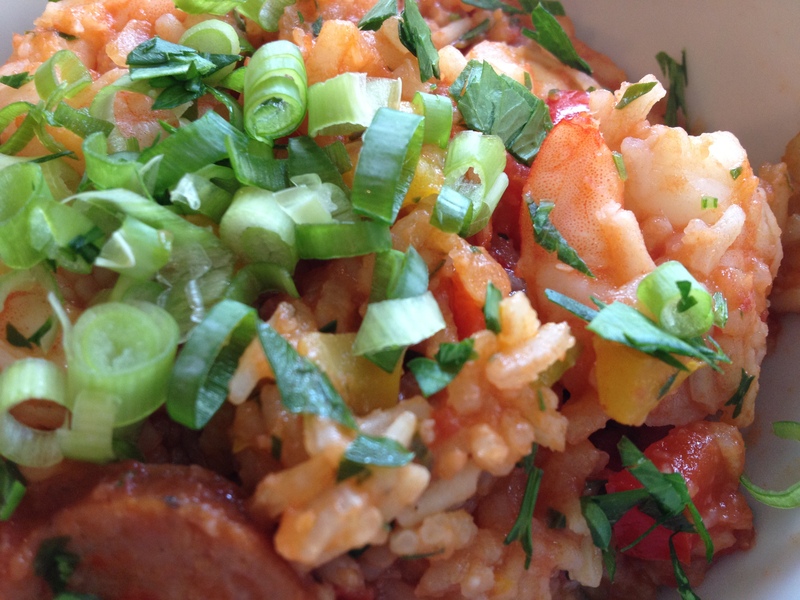 Since the sausage had a little spice…Jambalaya seemed like a logical way to go. I had never made it before so I searched for a recipe on Food Network’s site and found a good one from Anne Burell. I love that Food Network has reviews so you can see if people were actually successful with the recipe and if they liked it or not. This one got great ratings so I went for it and only had to change a couple of things. 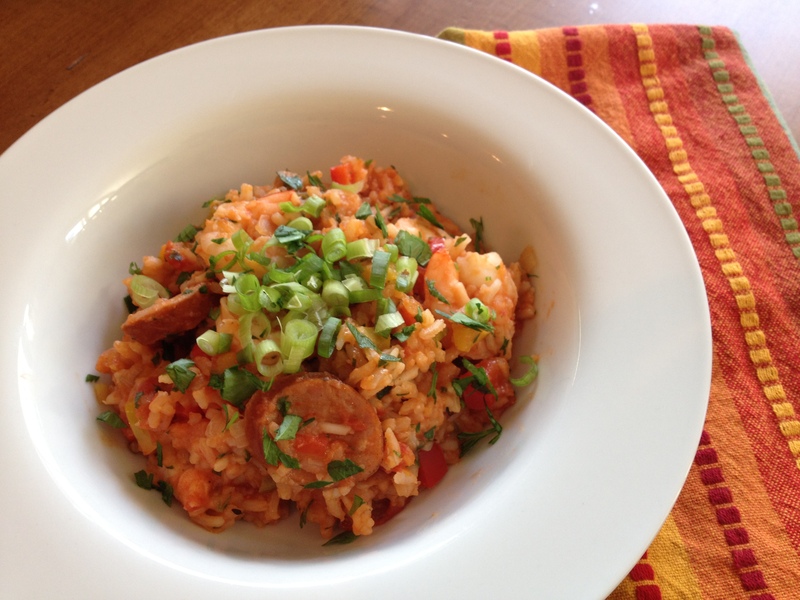 You can check out the original recipe at: Anne Burrell’s Gulf Shrimp Jambalaya. I used red and yellow peppers instead of green. I really don’t like green bell peppers. My husband and son love them, but since I’m the chef they get vetoed. I added parsley to mine. I add parsley to pretty much everything. 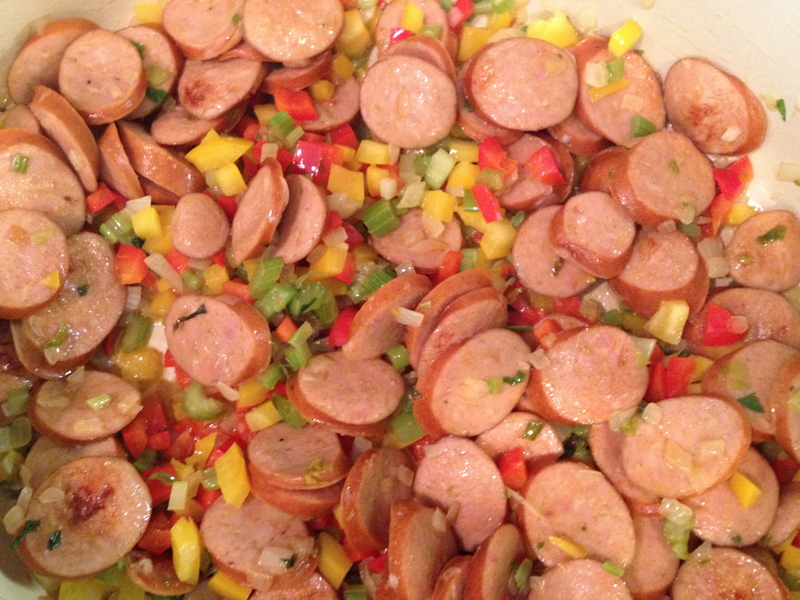 The onions, celery, peppers, garlic & sausage gettin’ to know each other in the pot. 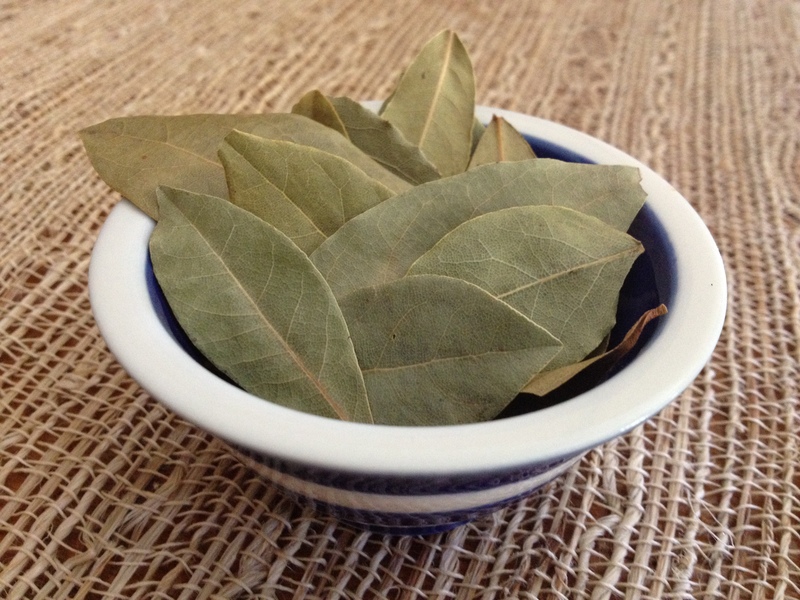 Yes…I took pictures of my bay leaves in a bowl. I’m trying to be “artsy” like other bloggers. 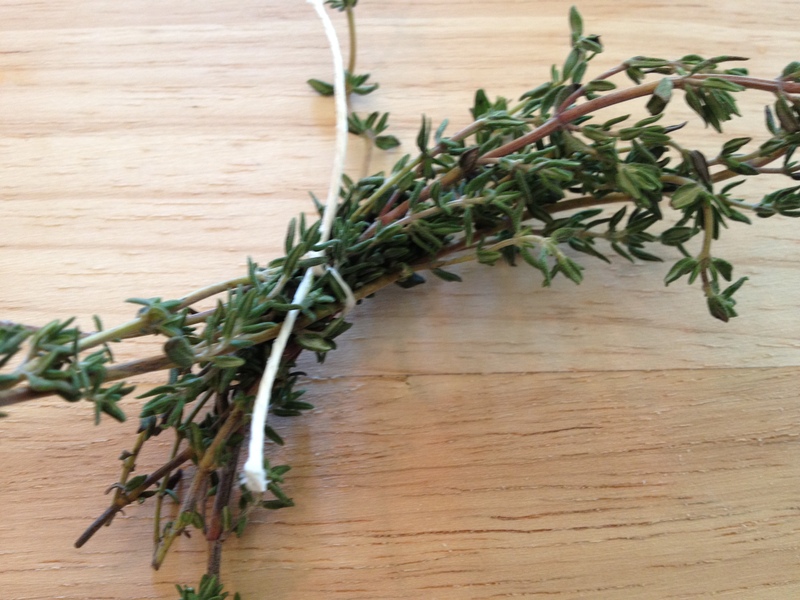 Using a little kitchen twine to bundle up some thyme is much quicker than pulling all the little leaves off and chopping it up. Coat a large, wide pot with olive oil and bring to medium-high heat. 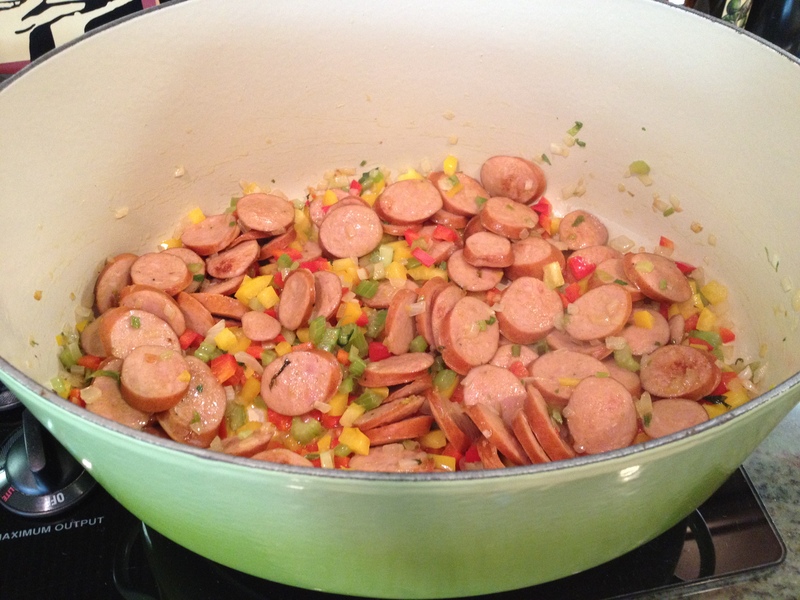 Add the andouille and cook for 4 to 5 minutes, or until the sausage starts to brown. 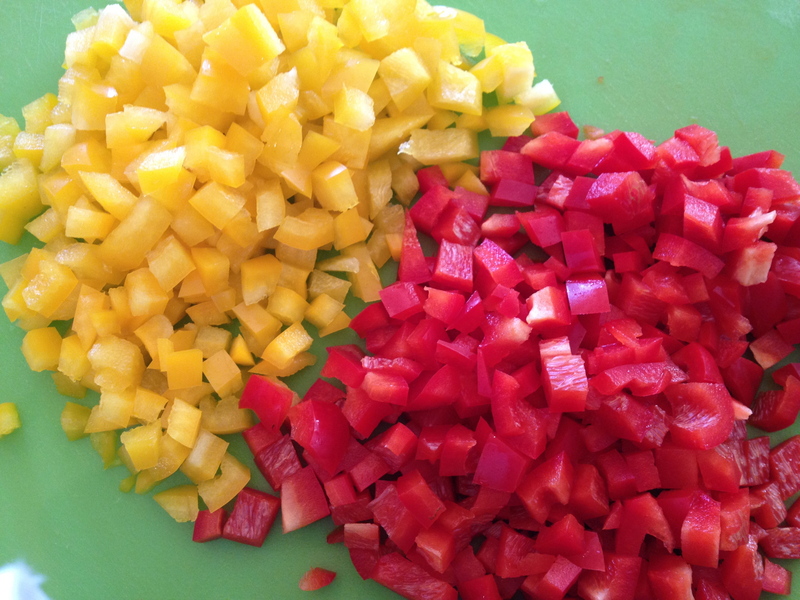 Add the peppers, celery, and onion to the pan, season with salt and a pinch crushed red pepper. Cook 7 to 8 minutes or until the mixture has softened and is very aromatic. Toss in the garlic and cook for 2 to 3 more minutes. Add the tomatoes and cayenne. Stir in the rice. Add 3 cups of chicken stock, bay leaves, and thyme bundle. Season with salt and taste it to make sure you are on the way to something delicious. Bring to a simmer over medium/high heat, then cover and cook over low heat for 25 minutes or until rice is fully cooked (don’t lift the lid during this time). 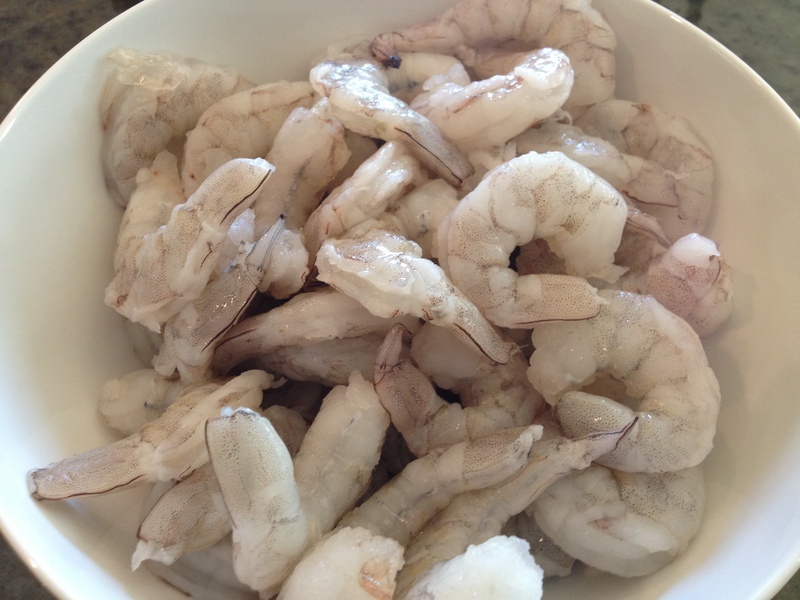 Stir in the shrimp, cover and cook for another 5 to 7 minutes or until the shrimp turn pink. 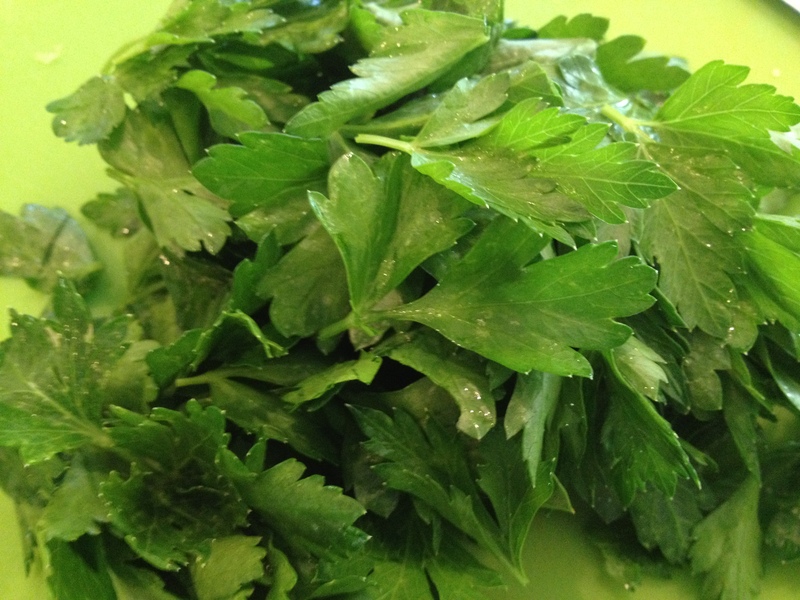 Turn off the heat and stir in the parsley. 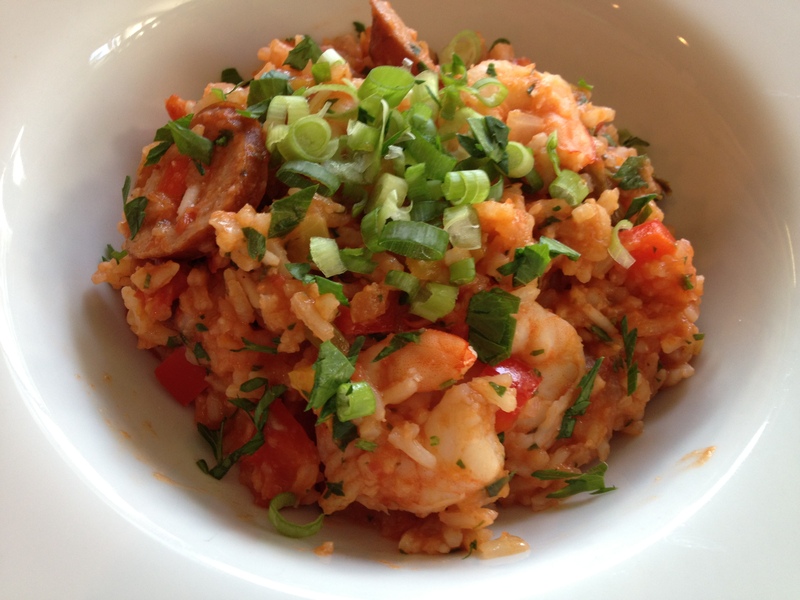 Serve garnished with chopped scallions.